Mission Statement: To increase awareness that water quality is directly linked to the use of appropriate wastewater systems and their management. Purpose: To provide access to education which increases public awareness of the link between clean drinking water, safe recreational waters, environmentally sustainable surface and groundwater with watershed based best management practices related to appropriate wastewater systems, technology, treatment and management. Wastewater Education 501(C)3 is a public outreach and consulting organization dedicated to advocacy for the protection of water as a vital human and ecological asset through the implementation and management of affordable, appropriate wastewater systems. We are committed to making these education events available to those with hearing, sight or other disabilities and those for whom english is not their primary language. We do accept and encourage sponsorships and underwriting that enables these education events to be provided at no charge. Please visit our web site to learn about current and upcoming events. We are independent and impartial, assisting individuals and communities to discover the financial and environmental advantages of implementing sustainable, integrated water infrastructures. Because water is water, not waste! Small drops - BIG impact! The tiniest water droplet eventually can move mountains. Every drop moves us closer to protecting water quality. Your reward for this level of support means one small drop for humans, one huge ocean for humanity! We are all just swimming in the same precious place we call Planet Home. Your reward for this level is helping us pay 1 month wireless fee. There's no mystery to finding clean water - we appreciate folks who are on the same journey. Your reward for supporting us at this level is funding all our domain names. 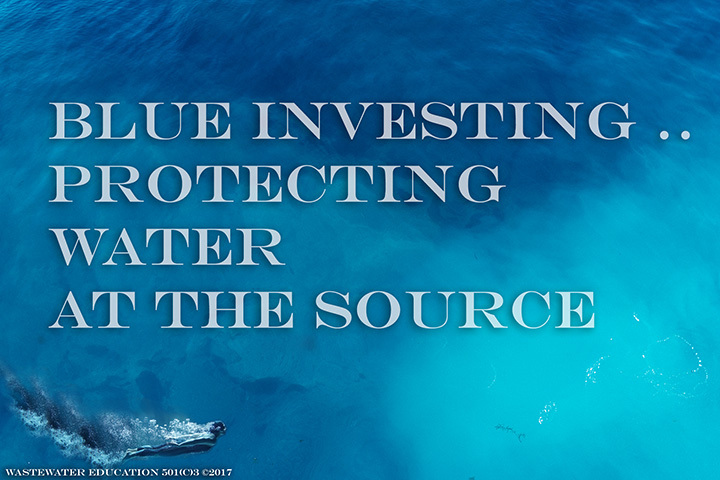 Well Drillers know the true cost and value of protecting water resources. Supporting us as a Well Driller means 6 licenses for our online CEU mobile access. Insurmountable effort? Determination rules! Help us make our message stick, even if we have to stand on our heads to do that! Your reward for being a supporter at this level is listing on our H2Outstanding Supporters page, and the knowledge you have helped support 1/3 of our total operating budget.